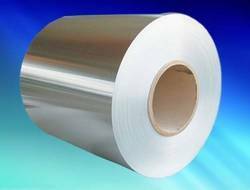 We are a leading Manufacturer of stainless steel sheet coil from Mumbai, India. Backed by our hard-earned knowledge of this industry, we are occupied in offering an elite range of Stainless Steel Sheet Coil. This steel sheet coil is manufactured using high grade steel and contemporary machines. Quality controllers sternly test the offered sheet coil in order to ensure that it is free from any possible flaw. Additionally, provided product is praised for its optimum quality, durability and high strength. Looking for Stainless Steel Sheet Coil ?